James has been a Teamster since 1997, and is proud to serve as a Business Agent for Teamsters Local 120. In 1997 he began working at the North Sioux City Police Department as a licensed peace officer. James became active in the union, and was elected union steward for his bargaining unit. James retired as a Sergeant from the North Sioux City Police Department in May of 2015. In 2015, James was appointed Business Agent at Teamsters Local 120 in South Dakota and was elected to that position in 2017. James currently represents members in a variety of industries, from police officers, correctional officers, public works, freight, bakery, busing and manufacturing employees. 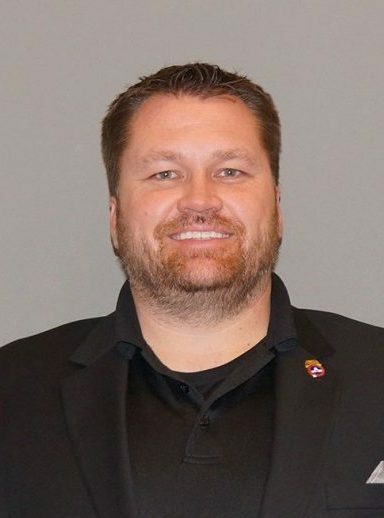 In addition to his Business Agent position, James is a member of Teamster Local 120’s DRIVE (Democrat, Republican, and Independent Voter Education) political action committee, assisting with candidate screening and activities supporting endorsed candidates. James is active in Local 120’s organizing efforts, and has led several successful organizing campaigns. James also serves as Region 11 Vice President for the National Association of Police Organizations (NAPO).